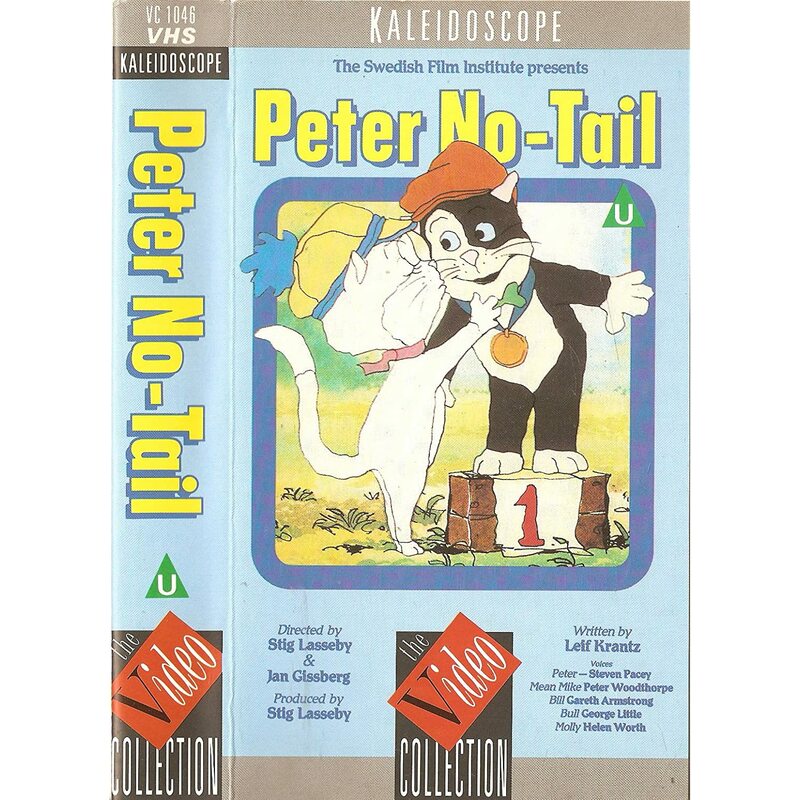 Peter No Tail (Pelle Svanslös) is a Swedish animated film created in 1981. There are two English dubbed versions: one for the UK market (Steven Pacey featured) and one for the US market. Based on the children’s book series by Gösta Knutsson. Pelle (Peter) is a cat who was born without a proper tail. He is taken care of by a family living in Uppsala. Without a tail, he becomes the talk of the town among the other cats, and especially Måns (Mean Mike), who teases him cruelly. Måns’ (Mean Mike) rough and silly courting of Maja Gräddnos (Molly) does not impress her, since she becomes interested in the kind and gentle Pelle (Peter). But Måns (Mean Mike) won’t give up that easy. Peter No Tail (Pelle Svanslös) was produced by Sandrews and Svenska Filminstitutet (SFI) in 1981, and telecast for the first time in Sweden on 25 December, 1981. It is a tele-move, approximately 81 minutes long, released on VHS, but never on DVD.